The healthcare system is basically divided in two; public and private. Expats living in Cote d'Ivoire should make sure they have a full comprehensive insurance and should be aware of diseases prone to tropical Africa. There are a few very good facilities in Abidjan although compared to international standards they fall short. They cost much more but with a good insurance you shoud be fine. As in other countries, the private option is much more expensive. Depending on the type of treatment needed, you will mostly find dedicated specialists. Expats tend to lean more towards private hospitals due to the fact that they provide a good standard of healthcare and are continually improving. There are 3 big hospitals in Abidjan. Their french acronym is CHU (University Hospital Center in english). There is one in Treichville, Cocody and Yopougon. They are basically the backbone of healthcare in the country since most of Ivorians doctors were educated in those hospitals. They are very good specialists but due to lack of funding, care are very minimal or in some cases inexistent. There are also many community healthcare centers much smaller that are primarily for neighborhoods. Unfortunately your best option for optimal healthcare is with the private system. There is a good network of pharmacies in the city and even in the country with very good and well trained specialists. You will not have to walk or drive far without seeing a pharmacy. Pharmacies are usually open from 8am to 8pm. 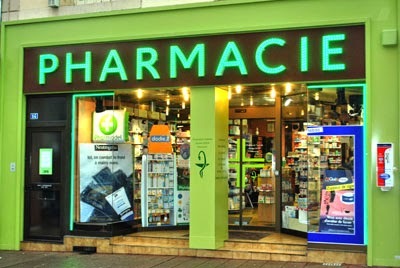 Outside of those hours look for the "pharmacie de garde" in your area. Those are very easy to get as many applications now provide you with that information, 411 type numbers or simply by going to your usual pharmacy you will find which pharmacy is open afterhours. The yellow fever vaccine is mandatory. You will need it to enter the territory. Other recommended vaccines are Hepatitis A and B, and Meningitis. It is recommended to start a prevention treatment of malaria prior to living. The weather and climate make Abidjan prone to the disease. Abidjan has many adequate privately run medical facilities with very good specialists. The only thing is that not many of them speak english. The health system is divided mainly in two components: Public and Private hospitals, clinics. Unfortunately if you want good and dedicated care your only option is to go with private health care. They are big clinics like PISAM, Polyclinique des 2 Plateaux in the north. In the south we have Polyclinique Avicennes in Marcory, Hotel Dieu in Treichville.